Today, I watched a new Chinese TV talk show ‘Voice 开讲了’ , it is not a singing contest but it is a talk show dedicated for young people. This show will invite famous and successful people to give lessons. Some famous people which I have seen on the show, Jackie chan, the kung fu master, Andy Lau, the perfect boyfriend and Chow Yuen Fat, the bond brother. My favourite is Matilda Tao, Tao Ching Ying, I put the link below. 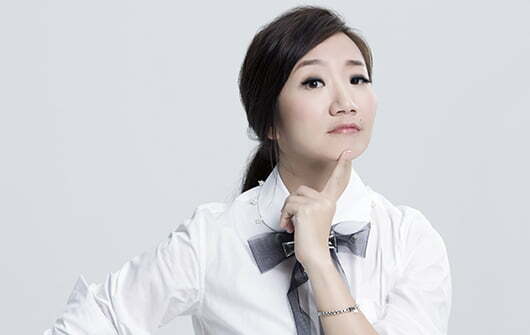 She is one of the top tv host in Taiwan. She won many golden bell awards for her shows and skills. She is witty and quick with her responses without being rude. On the show, she talks about beauty. She might not be considered pretty by many people. She has small eyes, big nose and round face. In ancient China, yes, she would be considered beauty but the concept of beauty has changed. In the modern world, many people will say beauty is when women have big eyes, small and sharp nose, oval shaped face. However, beauty is very subjective. Something is beautiful to me might not for you. elegant. There are many actress, singers or famous people who might look pretty but many are so not cultivate or dumb. Would you rather spend time with a good looking woman or someone who can have a decent conversation? I do not believe there is ugly women because you can make achieve perfection by putting make up. However intelligent is build by years and knowledge and those are harder to achive. Working with young people, it often breaks your heart to hear young girls these days are very uncomfortable with themselves. Some people seem to think that young girls these days are very confident as we have naked pictures or sexting incidents on the rise. Sexting not often because they are confident with their bodies, often they are gullible so they are pressured and trapped into doing it. I have seen many distressed teenagers who are not loving themselves. I remember one of my kid told me one day that she was ugly so she did not want to go out. It angered me on the spot, I told her that she was beautiful but she did not respect or loved herself so no one else will love her. She was shocked that I said that. I might be out of the line but it is very concerning that more people are doubting themselves and want to go under the knife to solve the issues. If undergoing an operation makes you happy then do it but do not do it because of other people. Personally I will not have an operation, sometimes it does cross my mind that I hate my arms so much, I could just have a liposuction. Luckily, when comes to pain, I am surrendering. I think one day if I have to choose to have an operation to prolong my life, I will choose not to do it. I am very intimidated by surgery. I also do not believe that operations is going to improve your confidence or reducing your self loath. Operating and having make up is very similar, it is because we are covering with masks. You still know all your flaws and always remember your before look. The only way to improve this is to be confidence, by loving yourself. The expectation of women in modern world is unbelievably difficult. When your look is unpleasant, people will laugh at you, but even if you are beautiful, you are still going to be attacked. It is very important not only women being nicer to themselves, but men also need to support their women. Do not tell them they are ugly or fat but appreciate your partner. Often though, women are more critical than men, we often fished our partners for compliments because we do not have the confident. This also often makes things worse too. We need to stop that! We need to be positive with what we have. I truly believe in education of the girls because only by educating them to love themselves and to be successful, we are going to have a future where girls will be comfortable with themselves and have the opportunity to be equal with men. So, dear girlfriends, let’s us learn to love ourselves. This entry was posted in Ngegosip, Ngeluh and tagged #matildatao, #voice，#开讲了, #陶晶瑩 on January 3, 2015 by admin. Legendary comedian and actor, Robin Williams has been found death. His caused of death is apparently suicide. Robin Williams was battling with depression for many years. Many people might not think depression is real but for someone who has that, it is not easy to bounce back. People who are battling with depressions cannot control the feeling of fear, uselessness, pain without help from medication or counsellor. There are many levels of depressions but there are ranges of supports treatments and assistances are available. Making the first move is not easy. If you know someone who is fighting with it, be a listener and do not give advices, just let the experts to do their magic, one of the best website in supporting this is Beyond Blue. You may also call or email them if you are relatives or families of the sufferers of depression and anxiety. Robin Williams is a legendary comedian, the world is sad today because we lost him. He brought so much laughter, tears and fun into many people’ lives. Although many of us do not actually know his real person, his work has affected us very much. It is sad to know that such great comedian, has so much pain inside. I hope he is finding peace, happiness and fun in his new world. Rest in Peace, Mr Williams, you will surely miss. This entry was posted in Ngegosip and tagged robinwilliams on August 12, 2014 by admin. This entry was posted in Ngegosip on July 25, 2012 by admin. Is a must visit for food lover, it provides multicultural food with very small price. It is located near Caulfield station, a walk distance and you will be able to taste food from Chinese, Korean, Indonesian, Thai, Japanese, Italian, fast food such as KFC. Even though it is just a short street, it is definitely providing the local good food. I live in Melbourne for more than 12 years but this is the first time, I visit this street and just my first visit, I already wish that I can live nearby. It would make my dinner so easy and brunch/lunch on the Saturday. For those have not been there, visit and try out those inexpensive food with great services. Just be ware of trams, cars when you are crossing, the traffic can be a bit shocking. This entry was posted in Ngegosip on June 24, 2012 by admin.